We’re keeping the thunder rolling on the Sophisticated Marketer’s Podcast with our third episode. This week’s episode is all about content marketing: How to target an audience, how to measure your effectiveness, the importance of thought leadership, and more. 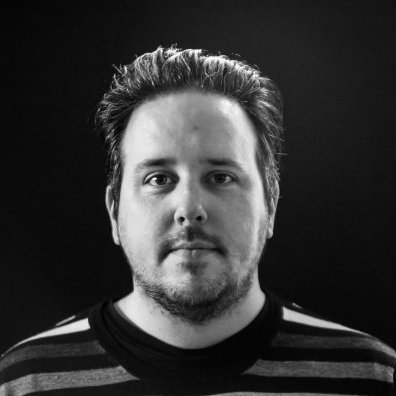 My guest this week is marketing automation wizard Jon Miller (no relation). Jon is the co-founder of Marketo, where he was the VP of marketing for 9 years. He is currently the co-founder and CEO of Engagio, where he’s focused on building the world’s first account-based marketing automation platform. I worked for Jon at Marketo a few years back, and we developed some truly cool content marketing strategies together. Plug in your headphones (or annoy your officemates, but we take no responsibility) and listen to the podcast below. You will learn where the term “Big Rock” came from, what content marketers can learn from Almost Famous and Betty Crocker, and the benefits of fishing with a spear versus a net (in a marketing context, that is). The Necessary, Difficult Task of Measuring Engagement: Traditional marketing metrics don’t do a great job measuring the effectiveness of content marketing. How can you measure engagement? The Importance of Top-of-Funnel Content: Jon talks about how he’s basically unreachable via outbound tactics, and the importance of content designed to provide value to people who won’t sit still for a sales pitch. A Debate on the Relative Sexiness of Personas: Are personas losing their sexiness as a marketing tool? We discuss the relative merits of personas and what the next step in targeted marketing might look like. The Power of Thought Leadership: As Jon says on the podcast (and pretty much everywhere else), “we started our blog before we wrote a line of code.” Marketo built a thought leader reputation before they had a product to sell with meaty, informative blog posts, which eventually led them to create the Definitive Guide series. 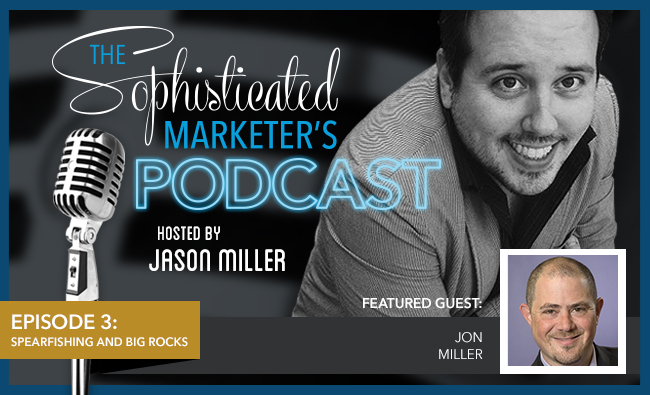 I was thrilled to get to pick Jon’s brain about all things content marketing. Next week, we’ll be talking with HubSpot’s CEO Mike Volpe, so don’t touch that dial. If you haven’t listened to the first two episodes, tune into episode one and episode two to see what you missed. Subscribe to the podcast now to stay current with all the conversation by Sophisticated Marketers for Sophisticated Marketers.